Are you looking for a new best friend? 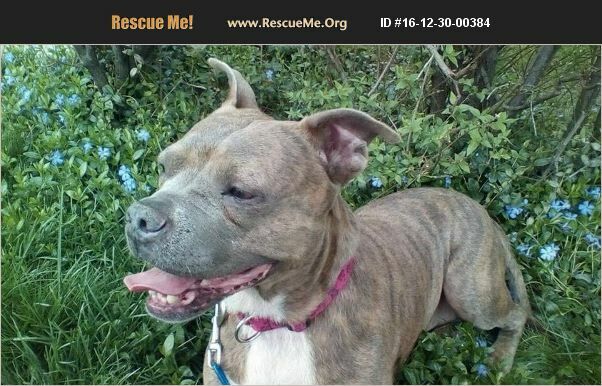 Priscilla is a middle aged pit mix that is very laid back girl. Her goal in life is to carry around a tennis ball, not so much into chasing it that would be to much work. Priscilla would prefer to go to bed early and get up late. She will walk with you but doesn't need it everyday and is one of those dogs that is happy when you come home but just sit with her and relax and she is totally happy. She has been around a walker and cane and is very respectful of them. She loves kids but not as energetic as they are. She prefers to be your only 4 legged friend but will ignore neighbor dogs. Does great in a crate but it is not needed. Priscilla is a sweet dog with a lot of love to give. Please consider this girl for a new best friend. Priscilla is up to date on vaccinations, is spayed, microchipped, and heartworm tested.